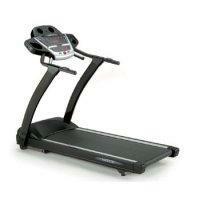 The Sole F83 is the upgraded version of the Sole F80 treadmill. It comes with a bigger motor, bigger display and more power just to name a few. And, it still comes with the excellent folding feature Sole treadmills are known for. Just like the other Sole folding treadmills, this one is also intended for people looking for a high quality but affordable treadmill that can easily be folded and stored. If you fit the description above, I suggest you read this review completely. This might be treadmill you're looking for. 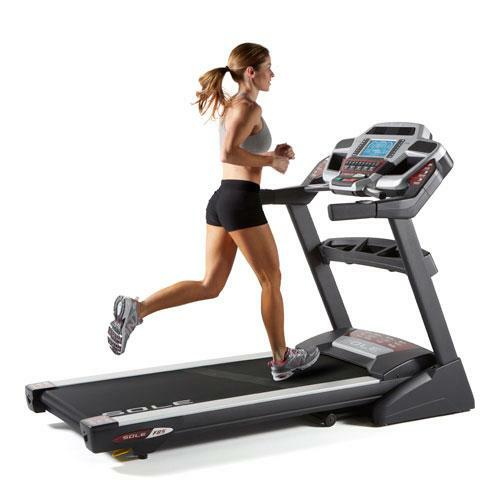 Sole treadmills are known for their folding feature, and this one is no exception. It comes with easy assist folding, safety lock deck and horseshoe stabilizing base. They work hand in hand to make folding and unfolding this treadmill as easy as possible. The Sole F83 treadmill comes with a 3.25HP continuous duty motor which is capable of delivering speeds of up to 12mph and inclines for up to 15%. 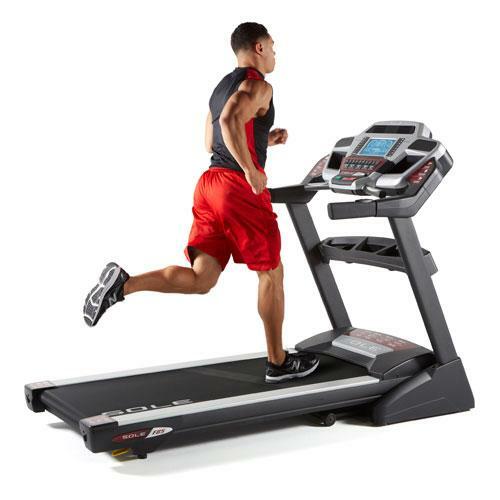 And like other treadmills from this company, it has a speed and incline control on the arm rest which is especially useful in changing the speed of your workout in the middle of sprints. The 20” x 60” double woven 2 ply tread belt is big enough even for tall people. Plus, this deck comes with Cushion Flex shock absorption which prevents you from having injuries by reducing stress on your joint, knee, and ankle. This treadmill’s console is 25% bigger than the F80. It comes with backlit blue LCD display with message board for instruction and feedback. There is also a 1/4 mile track feature and a Peak and Valley graph for different programs. This console also comes with speakers that allow you to hook up your MP3 or iPod player so you can listen to your favorite music while running. 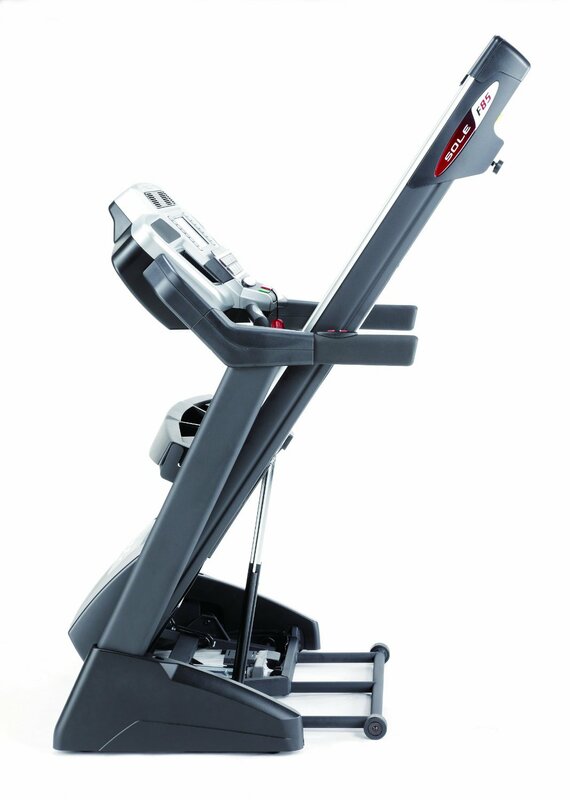 A hand pulse grip and a wireless chest strap are included with every purchase of a Sole F83 treadmill. Not only that, the Heart Rate Control feature, when used, will automatically make adjustments to keep you in your target heart-rate zone during a workout. 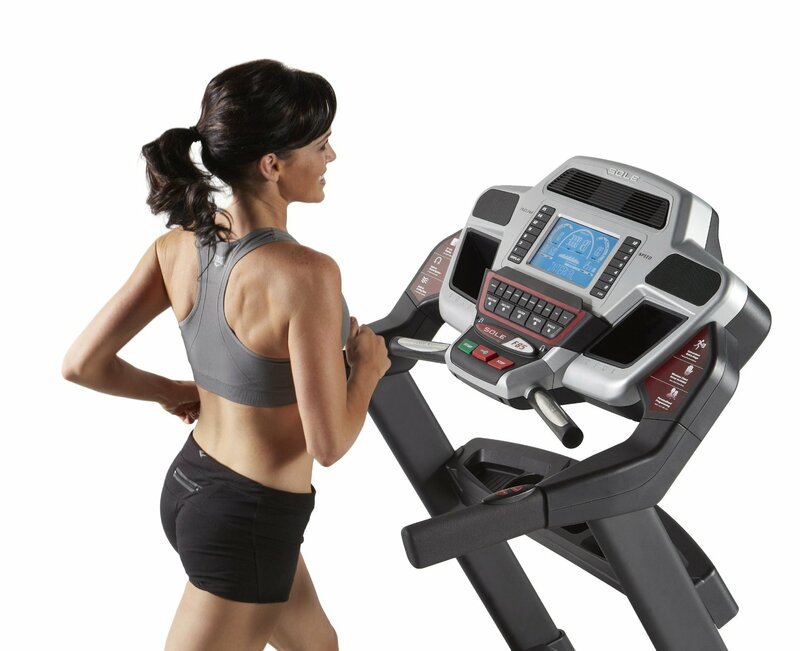 And finally, this treadmill is equipped with 6 auto programs, 2 user defined programs, and 2 separate heart rate control programs… giving you, the user, more variety and flexibility with your program choices. Since Sole is relatively new to the home treadmill industry compared to other more established brands, the only weakness I see is that the company behind this treadmill doesn't have a long track record yet. For just $200 more than the excellent F80 unit, you’ll get tons of upgrades while still getting the same excellent quality, durability and warranty. So to conclude, I would definitely recommend the Sole F83 treadmill. If you plan on buying a Sole F83 treadmill, I suggest you buy it directly from Sole. You can get it for just $1,299.99 includes shipping.